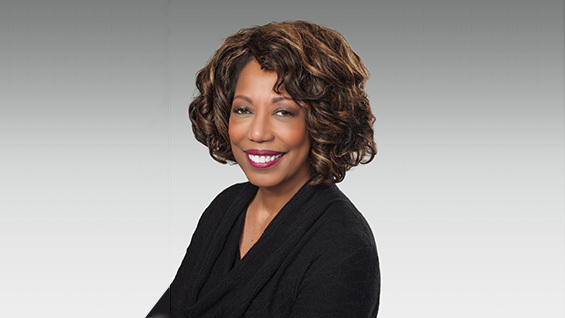 Denise Young Smith, Apple’s vice president of Worldwide Human Resources, will deliver the keynote address at The Cooper Union for the Advancement of Science and Art’s 2016 commencement. The Cooper Union’s 157th graduation will take place in The Foundation Building’s historic The Great Hall on Tuesday, May 24, 2016 at 10:30 a.m.
Young Smith, who is responsible for recruiting and retaining talent at Apple, joined the company in 1997. Young Smith was named in Fortune Magazine as a leading voice for diverse representation and inclusion and an inclusive culture. As head of HR for the tech giant, she helped spearhead the company demographics report, build new internal communications channels for employees, and developed the company’s inclusion strategies. In 2014, she topped a Business Insider list of the most important African-Americans in technology. "This is one of the most exciting times in history to launch the next phase of their life’s journey,” said Young Smith. “I am honored to speak with these Cooper students about how we can all build a better future, together." Prior to her current role, Young Smith served as a vice president of Apple’s retail arm building and directing their talent strategy. She also led HR for Apple’s Worldwide Operations and Corporate Relations teams. She is as accomplished in the arts as she is in business. A gifted soprano, Young Smith has sung at Carnegie Hall, SF Jazz Center and more, performing classical and jazz works from such composers as Verdi, Puccini, Ellington and Gershwin. A graduate of Grambling State University, she earned her bachelor’s degree in communications and master’s degree in organizational management.